Last week there was a day when I could not withdraw a penny from my account. I needed deodorant, conditioner and Aaron's bubble bath. Then the penny dropped and I remembered I had money on my Boots' Advantage Card. That day it literally saved my bacon. All of these things were empty! Oh I haven't included my deodorant there, which incidentally was also Sanex. It's not a nice sensation when you wake up, and everything's empty including your account. 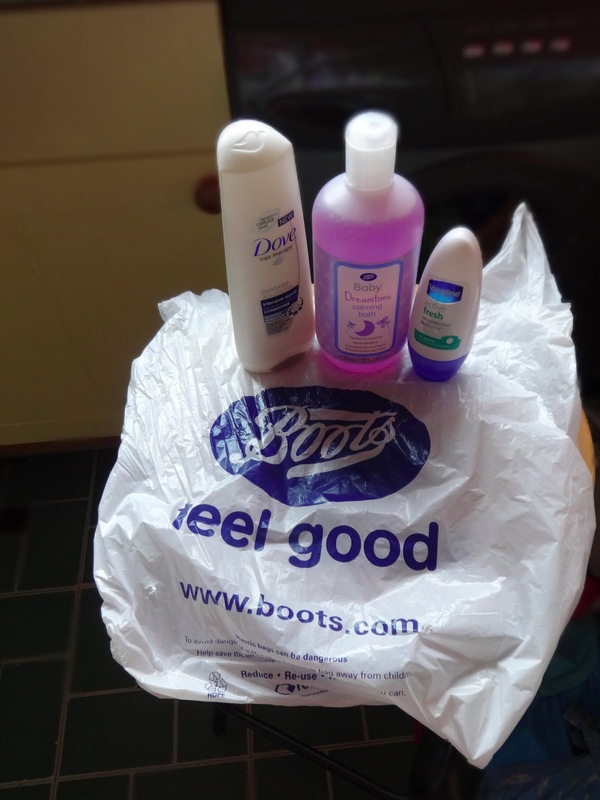 So off Aaron and I trotted to Boots and I had £6 on my Advantage Card so I got these three beauties!